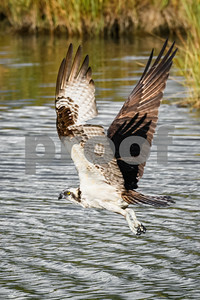 An Osprey (Pandion haliaetus) comes up out of the water after catching a fish. 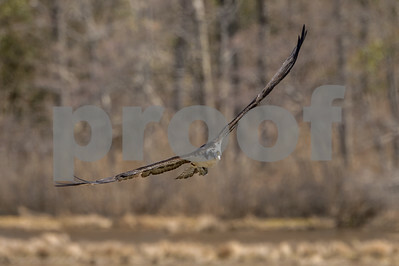 Photographed in the spring of 2017. 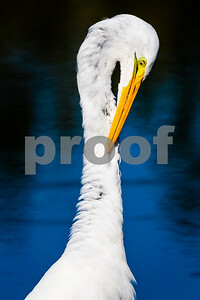 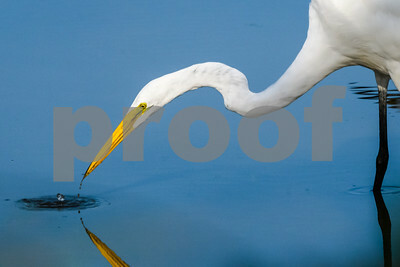 Portrait of a Snowy Egret feeding in a salt marsh. 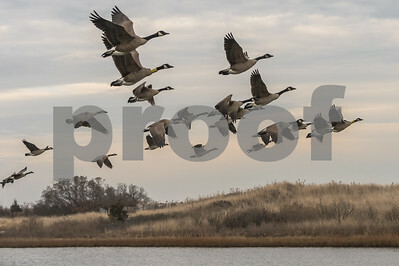 I was standing on top of a tall sand dune overlooking a nature preserve. 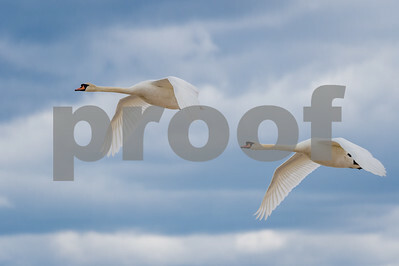 I saw these two Mute Swans (Cygnus olor) off in the distance heading straight for me and the open ocean. 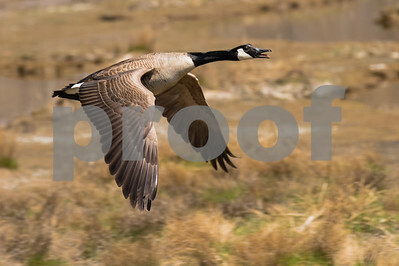 Nothing like being in the right place at the right time. 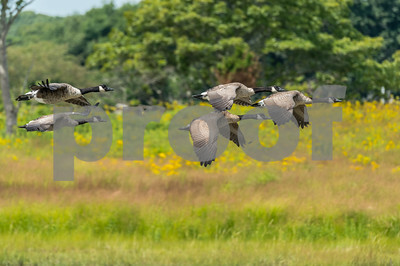 This is one of two new Canada Geese families I found at the salt marsh today. 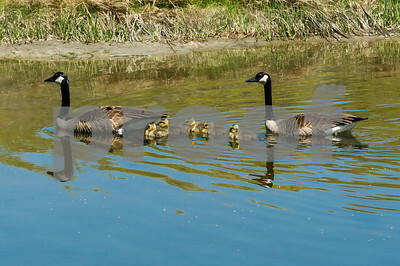 Parents usually lead their goslings in a line with one adult in front and the other at the rear. 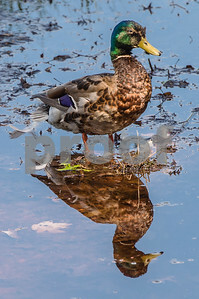 A Mallard duck stands in the backwater of salt marsh. 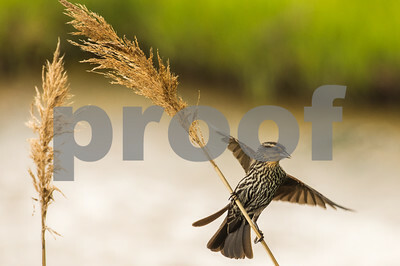 Female Red-winged Blackbird just landed on a Common Reed in a salt marsh. 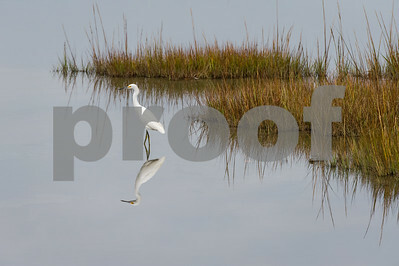 The reed is swinging back and forth like a pendulum. 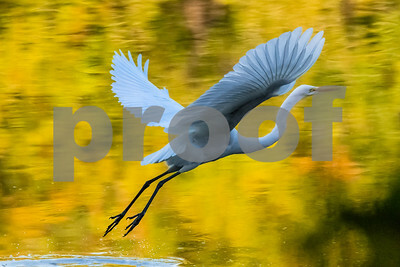 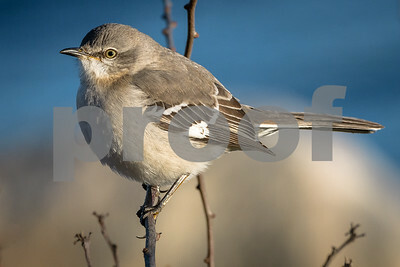 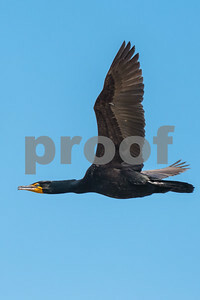 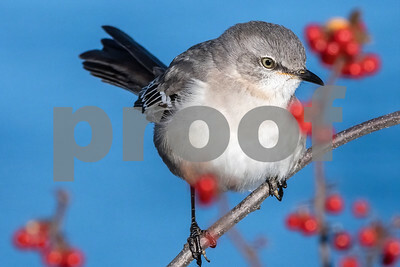 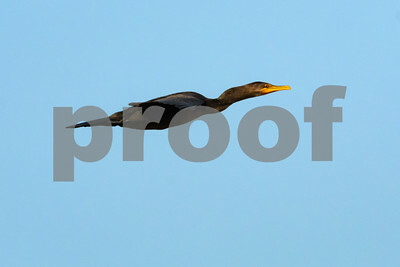 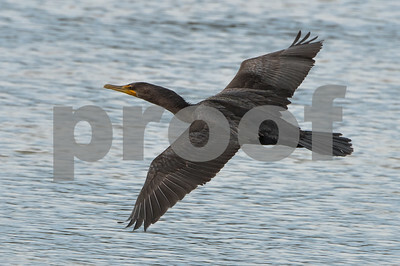 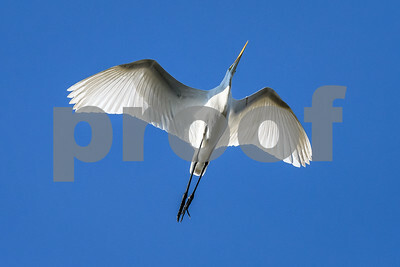 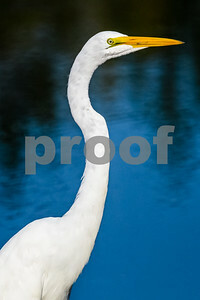 The bird appears to spread its wings for balance as the reed stabilizes. 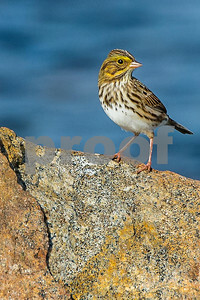 Savannah Sparrow perches on a rock overlooking the ocean. 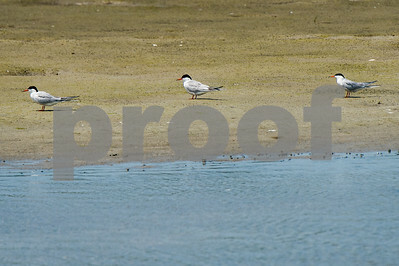 I spotted these 3 Common Terns standing on a mudflat. 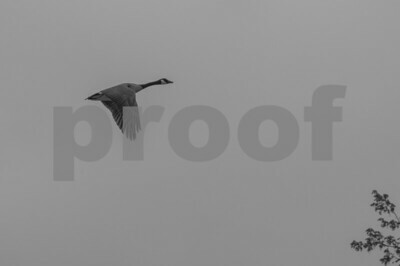 They were motionless, in a straight line, equidistant from one another and all looking in the same direction. 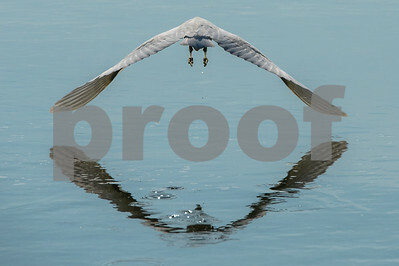 It was great natural symmetry. 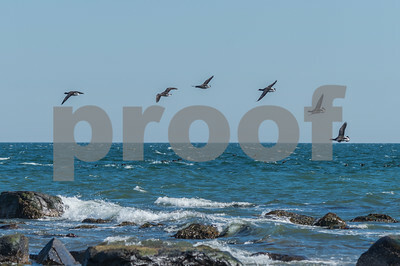 Six Brants fly along the shoreline. 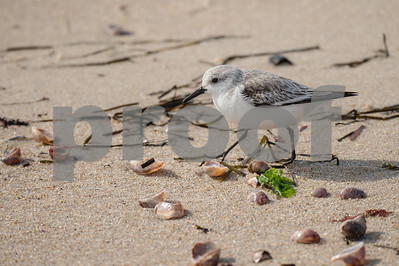 Sanderling feeding on the beach. 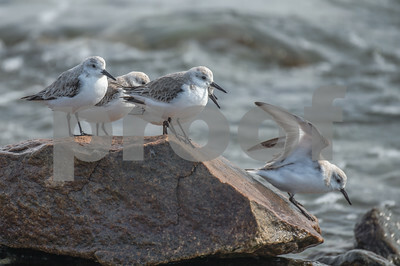 Tiny Plover lost its footing and slid down the rock although it does look like the Plovers are taking turns sliding down the rock. 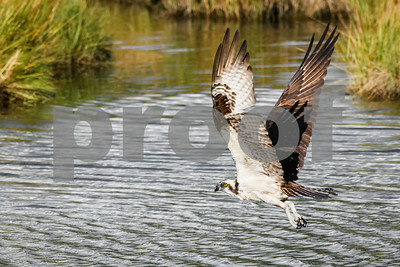 This Osprey had just made a dive into the water for a fish. 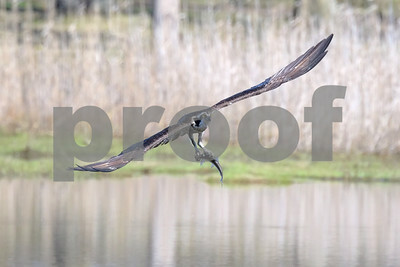 It is making a low 180 degree turn after coming up out of the water. 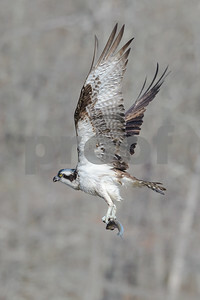 The Ospreys and many other birds are back at the salt marsh for another high activity season of building nests, mating, fishing and fighting over food and territory. 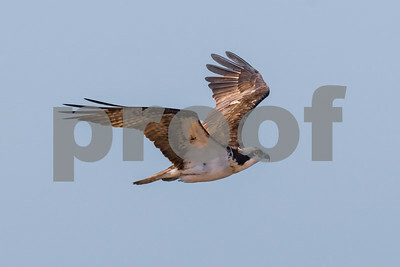 This Osprey is circling the salt marsh looking for a fish for his mate. 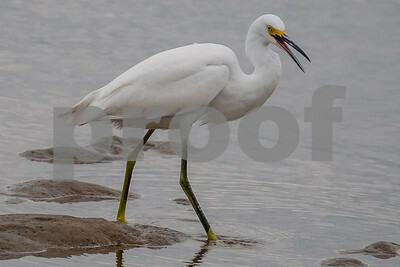 Snowy Egret juveniles are fun to photograph. 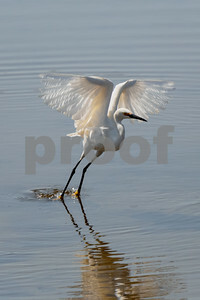 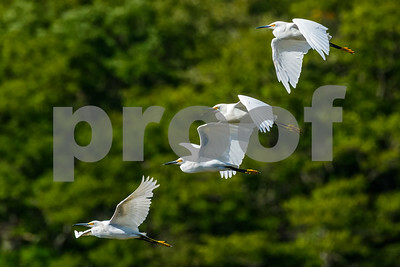 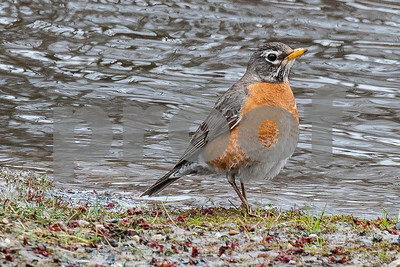 They are very active and provide great action shots like displaying perfect angel wings.